Regis has a reputation for dreaming interesting stories. My dreams are amorphous blobs and his are complete plots containing characters with names. Last night, he dreamed that he came home to find spots of blood on the floor. Even though they couldn't find my body, they convicted him of murder. 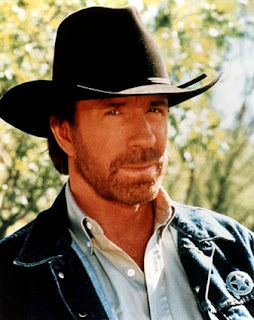 He was sentenced to hard labor on a wagon train, the captain of which was Chuck Norris. These were not your ordinary Conestoga wagons but they had bright advertising on the sides for things like Hormel meats, Delta Airways, Kelloggs, Quaker Oats, and Swiss Army. Try to google an image like that. All along the trail he found things that I had left, like a back deposit slip or a note but he never did find me. I keep telling him if he would just write this weird stuff down, some day it could morph into a book or a movie. Larry dreams the way Regis dies, only I don't recall that he was ever accused of murdering you. He did ride in the backseat of a driverless car with Willie Nelson once, however. Oops, the office comment was supposed to go with a previous entry. I get discombobulated typing with one finger on my Touch.